The following piece is being reprinted here with permission of the anonymous author, G2G. He is the owner of the blog, Stochastic Terrorism which is: 1. The use of mass communication to incite random actors to carry out violent or terrorist acts that are statistically predictable but individually unpredictable. 2. Remote-control murder by lone wolf. G2G has a Master of Arts in the Social Sciences and works as an engineer in the field of telecommunications. So let's take Beck, Hannity, and O'Reilly. There is no question that their emotional rhetoric appeals to people who are emotionally unstable. And, since their audiences are tracked and analyzed in detail,there is no question that they know it. I will reciprocate kid. 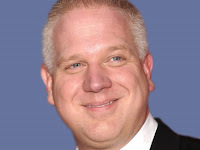 I don't like calling Beck names, but I'll check out that link on your blog.